Harrison Lake and mountains as seen from the resort village of Harrison Hot Springs. 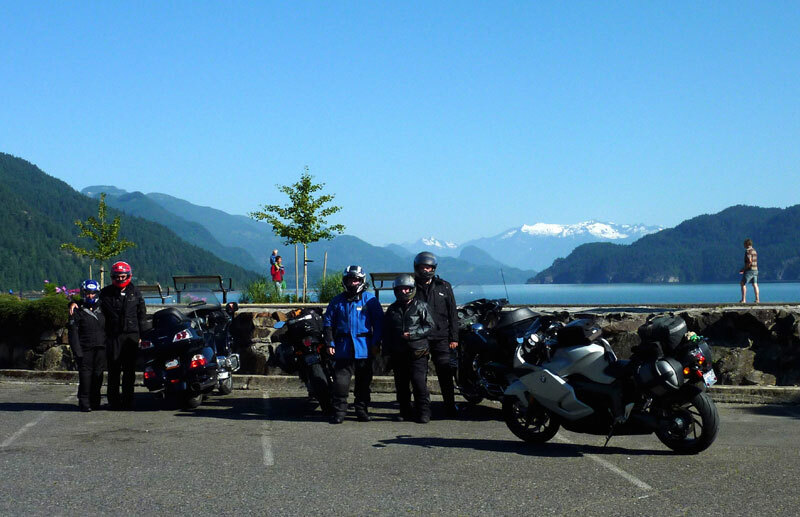 True identities concealed by helmets are (left to right) Thelma, Stuart, Rod, Janet, and Graham. We don't know where Julie was.